Gene Roddenberry was a U.S. Army Air Force bomber pilot. He served in the Pacific from 1942 until 1945 when he was honorably discharged. He had earned the Distinguished Flying Cross and the Air Medal. He flew missions over Guadalcanal and the Philippines, among many others. After his military service, Roddenberry flew for Pan American World Airways, experiencing one nasty crash in which many passengers died but many were rescued as he pulled them from the flaming craft. After moving away from working as a pilot, Roddenberry was a police officer in Los Angeles for many years, becoming a speechwriter for the Chief of Police. Then he found that his true calling was in writing. More specifically, writing for TV programs. Roddenberry would work on many shows, moving up the ladder of credit and fame until his masterpiece was born. If his name isn’t immediately familiar, his most famous creation will probably spark more than faint recognition: Star Trek. Roddenberry was the father of one of the most, if not the most venerated TV science-fiction series ever broadcast. 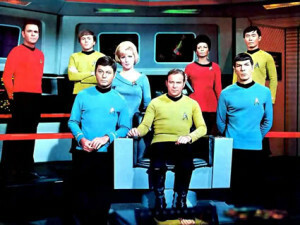 Though the initial Star Trek didn’t continue past the three originally contracted seasons, the multiple spin-off series and movies and huge fan base have made sure that Roddenberry was immortalized. It might not be apparent to many watching the show set hundreds of years in the future and in distant places across the stars, but the influence of Roddenberry’s time fighting in World War II played into the script, characters and themes in the show. One particular way this was expressed is in the character of Khan Noonien Singh, the most notorious villain in the Star Trek Universe. Back in the day, when Roddenberry was flying his combat missions with the 394th Bomber Squadron, 5th Bomber Group, 13th Air Force in a B-17 Flying Fortress, he met a Chinese pilot who became his friend. 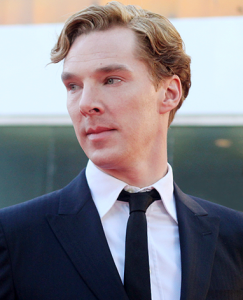 After the war, he lost contact with the man, named Kim Noonien Singh. Roddenberry is reported to have named the character of Khan Noonien Singh after his old war buddy hoping that the original would notice and try to contact him again. An interesting point when discussing the origin of Khan’s name is the oddity of it. Khan, going back to the great Khans (rulers) of Mongolia, is, in modern times, a surname in regions like Pakistan. Noonien (or Noonian in some places) is a Chinese, Korean, or Indian name according to different sources. Singh is a name of Indian origin, stemming from the Sanskrit word for lion and mandated for all baptized males in the Sikh religious tradition. Sadly, the character of Khan failed to gain the attention of Roddenberry’s former comrade. But, for students of history, there was far more than Khan Noonien Singh’s name and Roddenberry’s old friend that link the character to Word War II. The first Star Trek season (featuring William Shatner as Captain James T. Kirk and Leonard Nimoy as Spock) in which the episode “Space Seed” appeared and introduced Khan was aired in 1967. It weaves a tail of Eugenics Wars in the 1990s in which a group of genetically engineered superhumans seizes power across the globe, their great ambition colliding with each other and against “normal” humans. Khan rules as dictator of a quarter of the planet from 1992 until 1996, at which point the superhumans are deposed. Many of the genetic creations are killed, but 84 escape to space in a ship and cryogenically freeze themselves until they are discovered by the Starship Enterprise in the year 2267. Eugenics and dictators might sound familiar. This harkens directly back to Nazi German’s obsession with the concept of a pure and superior race. If these Eugenics Wars had actually started in the 1990’s, we might have called them Word War III. Furthermore, in the Cold War era in which this show aired, anxieties of the planet descending back into full-out war and super-power nations using their vast, and ever-more scientifically advanced methods for winning wars would have been at the front of many viewers’ minds. Roddenberry tried again to hail down the Chinese pilot he once knew in the much later series Star Trek: The Next Generation, which began in 1987 and has the famous English Shakespearian actor Sir Patrick Stewart playing Captain Jean-Luc Picard of the Enterprise. This time, Roddenberry had the “father” of Data (the ship’s android crew member) named Dr. Noonien Soong. Once again, Roddenberry’s noble pre-Facebook and Google attempts to find his long-lost friend failed. 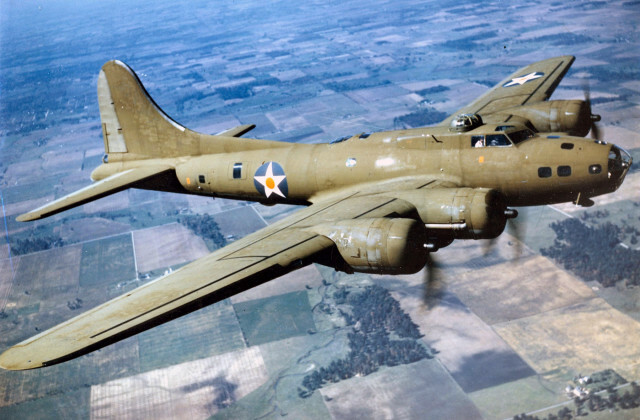 The former USAAF pilot crafted his dreams of flying through the stars with memories of his time flying B-17s during World War II and unfulfilled hope of tracking down an old friend and comrade. No doubt Roddenberry’s bomber days had influenced other episodes and maybe also influenced the strong cultural optimism of entities like Starfleet and the United Federation of Planets.